At the age of 30 years old, General Emilio Aguinaldo was the youngest President of a self-proclaimed Philippine Republic and Commander-In-Chief of the Armed Forces when the Insurgency War broke out with the Americans occupying the country after the Spanish authorities left the country. Although the different Regions of the country have their respective Generals and Officers commanding their respective Filipino Armed Resistance Groups against the Americans, General Aguinaldo was regarded with much respect and loyalty by all the Filipino Officers and Soldiers. His orders and command were strictly followed throughout the land but with the superiority in weaponry, logistics and the number of troops of the Americans, the “rag-tag” Filipino Forces were no match in the field of “face-to-face” battle with the invading/occupying forces. Instead of surrendering due to some defeats and debacles in battles in the Tagalog area, General Aguinaldo with a group of one thousand two hundred troops to include his wife, children and some relatives, decided to move in a northernly direction towards the Ilocos Region with the hope to link up with Filipino Forces in the North and make a counter-offensive against the Americans. Because of his soldiers’ knowledge of the terrain in the plains of Luzon, they were able to evade the three-pronged offensive of the Americans to catch or trap him while he and his troops were on the move. A fast mobility was the only weapon or strategy left for General Aguinaldo for him to evade the dragnet being made by the troops of General Arthur MacArthur. As he left the provinces of Pangasinan and La Union, he started to see high mountains ahead of him and immediately decided to take the risk in going to the higher mountains with the thought that he can hide in the area or use the mountains and the forests to prevent the Americans from pursuing him and his troops. The higher mountains that he chose were the mountains that lead to the Cordilleras. Before reaching the town of Candon in Ilocos Sur, General Aguinaldo was about to cross a river whose current was coming from the mountains in the east, instead of crossing it, he made the decision to follow the said river upstream. The said river brought him and his troops to the foot of a mountain range where Mt Tirad is located. 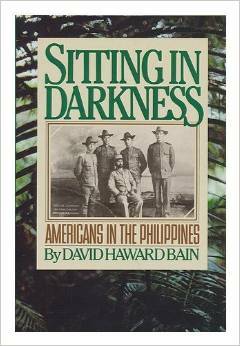 Sometime in 1996, a senior officer of the Philippine Army gave me a paperback edition of this book and I was impressed on how the author was able to describe and narrate at least four (4) different but related stories in one book. Eventually, the said book was lost from my personal library. However, two months ago, after going through my research on the General Funston Trail in the coastal towns of Aurora-Isabela Provinces, I was able to locate where I could buy the said book. Thanks to Amazon.com! Presently, this book is now my “guide” in re-tracing the General Aguinaldo Trail and General Funston Trail. So, while I am tracing the trails for the Luzon Ridge Trail, two other historical trail systems in the country, General Aguinaldo Trail & General Funston Trail, are presently being re-traced at the same time with the support of selected ultra running friends. General Aguinaldo was riding on horseback when he trekked the Cordilleras and it took him 5 months and eighteen days to reach the town of Palanan, Isabela. General Funston hiked from Dinalungan/Casiguran, Aurora to Palanan in almost two weeks. David Haward Bain, the author of the book, took him ten (10) days to hike the General Funston Trail. We will see how many days and weeks will I spend in trekking, hiking, and jogging these two Historical Trails. My blog will be used as the main resource for updates in my adventures to re-trace the Historical Trails and the Luzon Ridge Trail. Wish me luck and pray for my safety and health! Wishing you all the best in your adventures, Sir. May God Almighty guide and bless you in every path you take. Good luck sir! You make history again. God bless you sir Jovie. Any news on the Gen Funston Trail sir jovie? Am planning to pedal it from my hometown in bulacan.